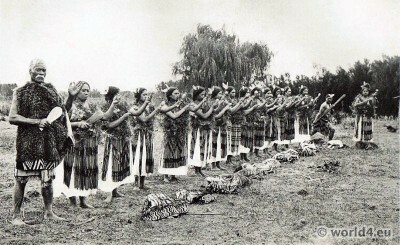 “Poi” as an art form originated in the Māori in New Zealand. The origin of Poi itself is relatively little studied, mainly because oral traditions are known. The Ur-Poi were an invention of Maori women and consisted of two equally long branches that were connected at their ends with flax. The other ends are put into the fire and brought it to burn in order to achieve an effect in the dark. The Poi dance was originally used by the Maori women to maintain flexibility of their hands, and of the men in order to promote the necessary strength and coordination in a fight. Poi were also used as a training tool for other ancient weapons like Mere or Patu. Poi spinning is kinesthetic related to staff rotation or pen spinning, since crossing the manipulation of a rotating object to be kinetic center, stands in front of and adjacent to both sides of the body and not on throwing and catching objects. The traditional Poi game is about a thousand years old and is regarded by the descendants of the original inhabitants of New Zealand today as a cultural tradition. Source: Picturesque New Zealand (1913) by Paul Gooding. Photography by Muir & Moodie; and Josiah Martin.